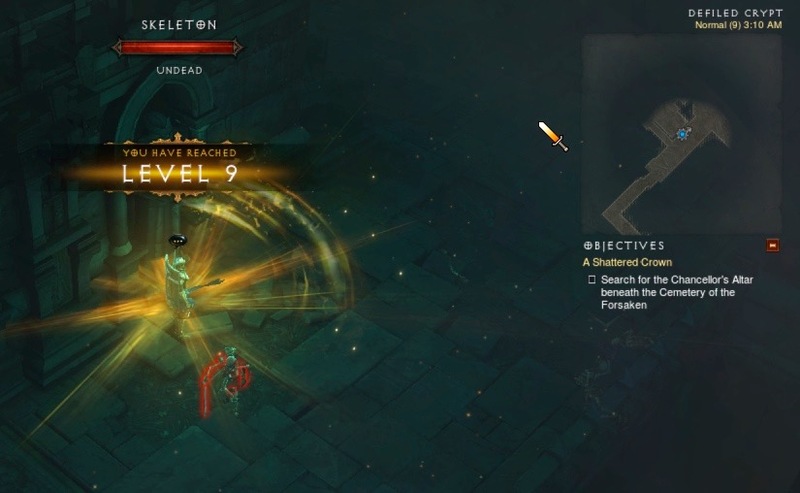 I’ve been blogging my experience in the Diablo III: Reaper of Souls beta in an effort to give myself time to really think about the game. 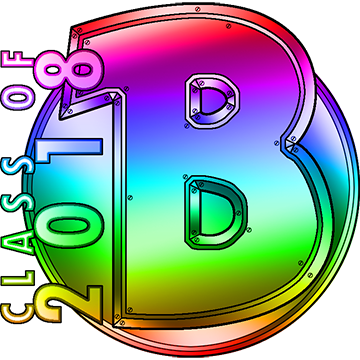 The result seems to be a series of gaming blogs that are rather introspective, and less of the “game guide” variety. I’ll leave the game guides for others to produce. 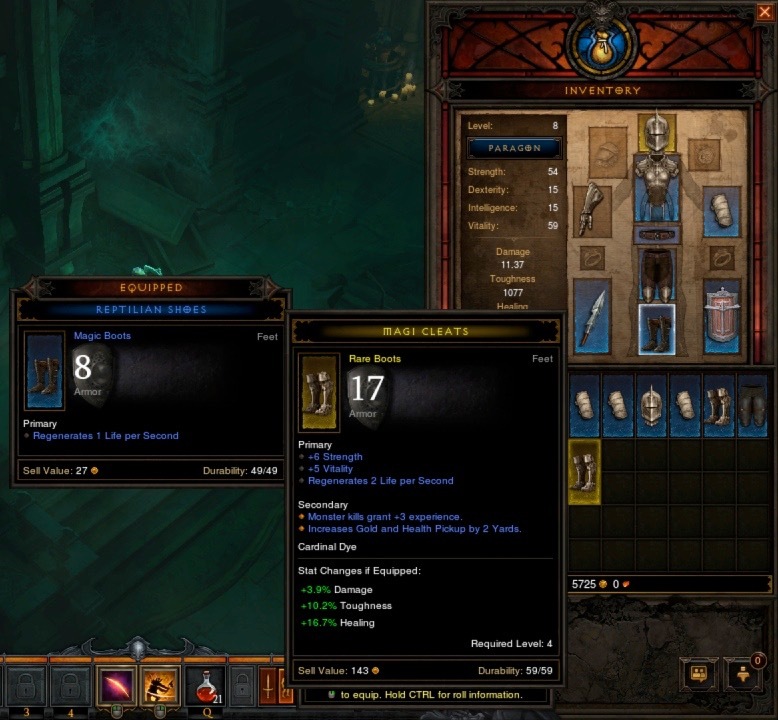 When I started the Reaper of Souls (RoS) beta, I rolled a brand new character. Joan the Crusader gave me an opportunity to try out the new Crusader class. When I left off, Joan had just hit Level 7 (as shown in the screenshot above). She achieved Level 7 at around 2:35 a.m. on December 18, 2013. 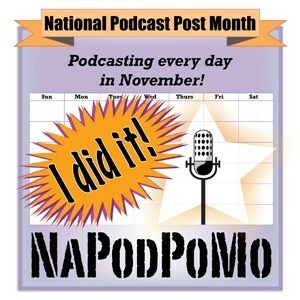 All of the screenshots in this blog were taken on December 18, 2013. 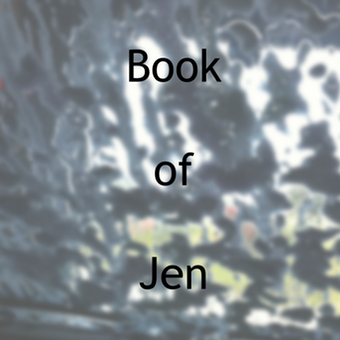 Joan set out to adventure in the Weeping Hollow. 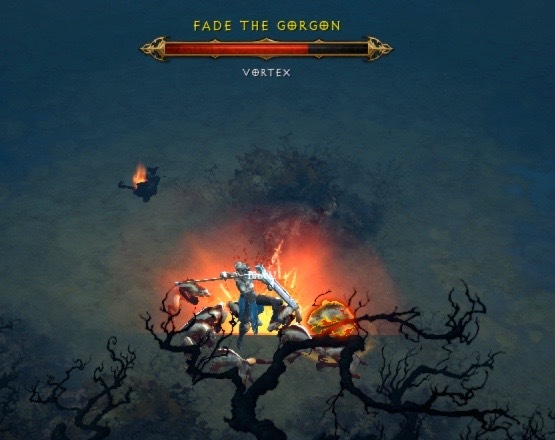 The first “gold” monster she encountered after reaching Level 7 was Fade the Gorgon. He took the form of a Burrowing Leaper, and arrived with a pack of friends. To me, they look like frogs. Vicious, ugly, frogs that pop out of the ground. The second gold monster Joan encountered in the Weeping Hollow was Malifant Wormboiler. He was one of those big, fat, figures that releases worms after you kill him. Malifant was accompanied by some zombies and some Wretched Mothers. It was a good fight, and resulted in some interesting loot. 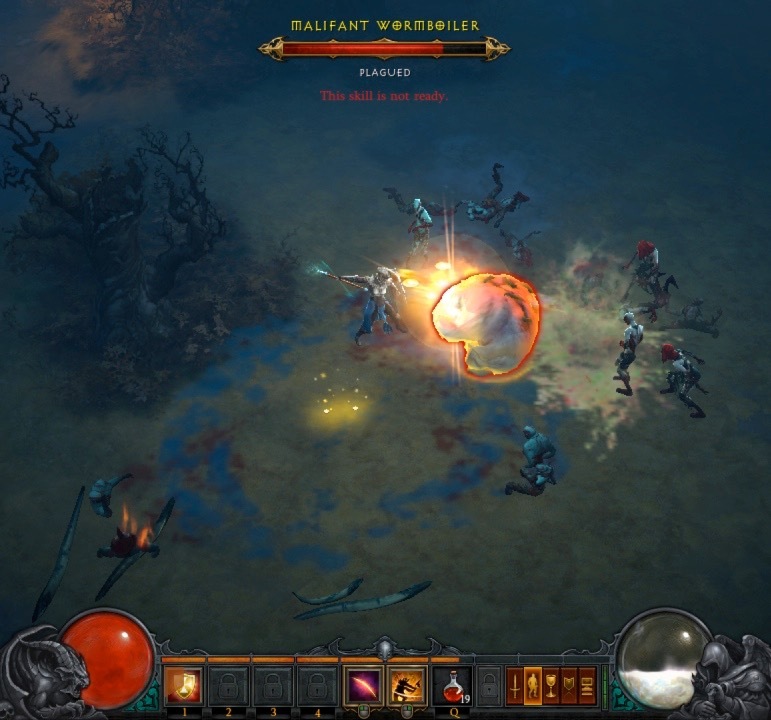 As you can see from the screenshot above, Joan the Crusader was at Level 7, and a little more than halfway to Level 8, when she encountered Malifant Wormboiler. That’s how long it took before Joan came across her first Rare piece of equipment. Malifant dropped the Masked Riot Helm (which turned out to be better than the helm Joan was using). Equipping your first Rare item earns you an achievement called “Rarely There”. I think that’s kind of fun. 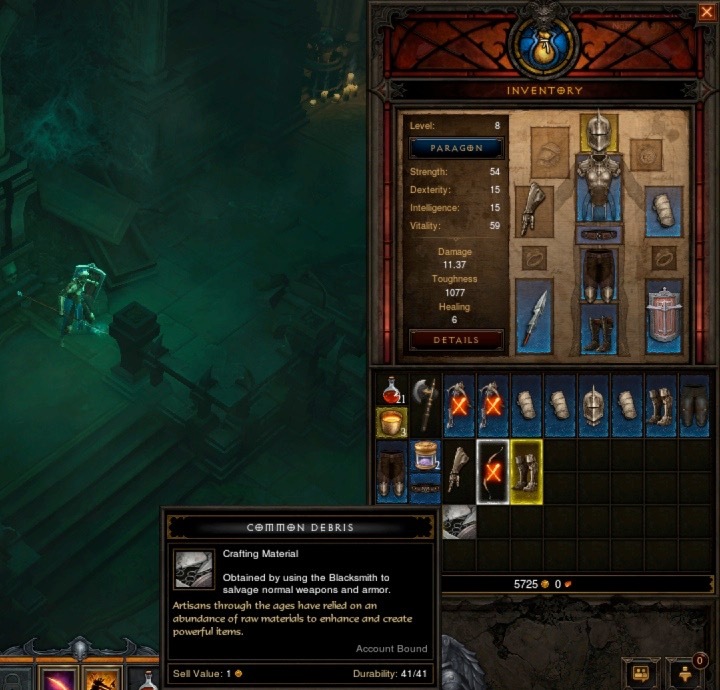 I was excited to find my first Rare item in Diablo III RoS, and I’m always happy to earn an achievement. Rarely There: Equip a rare (yellow) item. 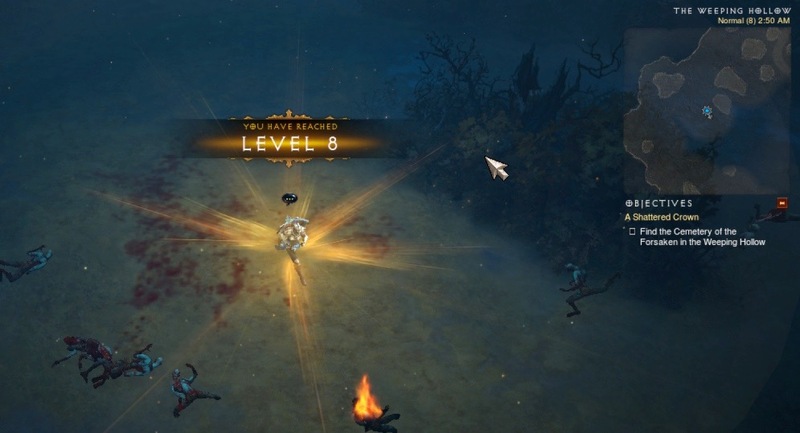 Joan hit Level 8 while she was still in the Weeping Hollow (apparently after slaying a bunch of zombies). It was now 2:50 a.m. on December 18, 2013. She dinged Level 7 at about 2:35 a.m. So, it took her about 15 minutes to get from Level 7 to Level 8. It still felt kind of quick, but not as “lightning speed” quick as the previous levels did. Into the Crypts at the Cemetery of the Forsaken! The Crypts are one of my favorite parts of Diablo III. I never get tired of that area. While in the Crypts, Joan picked up some loot that I hadn’t seen before: “Common Debris”. Artisans through the ages have relied on an abundance of raw materials to enhance and create powerful items. 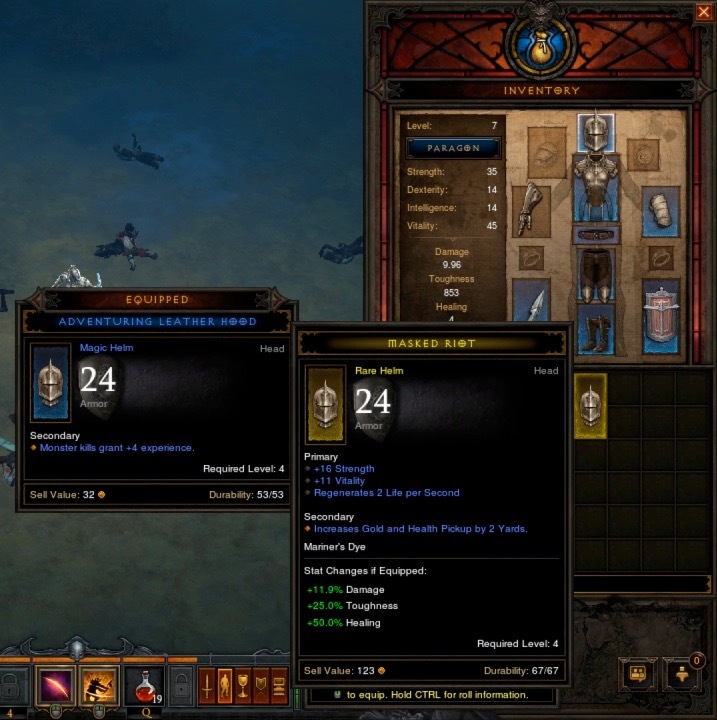 This wasn’t something that appeared in the original Diablo III game. It is definitely a crafting material that players need to give to the Blacksmith when they want him to craft a weapon or piece of armor for them. 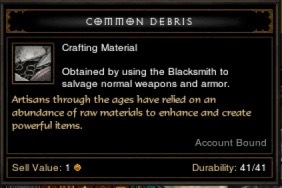 I think “Common Debris” might be replacing some, or all, of the crafting materials that dropped in Act I of Diablo III. Notice – it is Account Bound. This means that in RoS, players won’t be able to gather up a bunch of “Common Debris” and give them to a friend. In addition to the interesting (but not immediately useful) “Common Debris”, Joan found her second piece of rare equipment while in the Crypts. Zero drops of Rares from Levels 1 -6. One drop of a Rare in Level 7. One drop of a Rare in Level 8. Still no Legendary drops (but I honestly wasn’t expecting any before Level 10). This time, she got Magi Cleats, which were better than the boots she was currently using (in a bunch of ways). Joan dinged Level 9 at 3:10 a.m. She hit Level 8 at 2:50 a.m. So, it took about 20 minutes for her to get from Level 8 to Level 9. The gap between levels is growing, but I hardly noticed it. I was having too much fun in the Crypts. Joan’s adventure through Level 8 was really fun. What would Level 9 bring? Things got a little bit weird once Joan the Crusader hit Level 9. 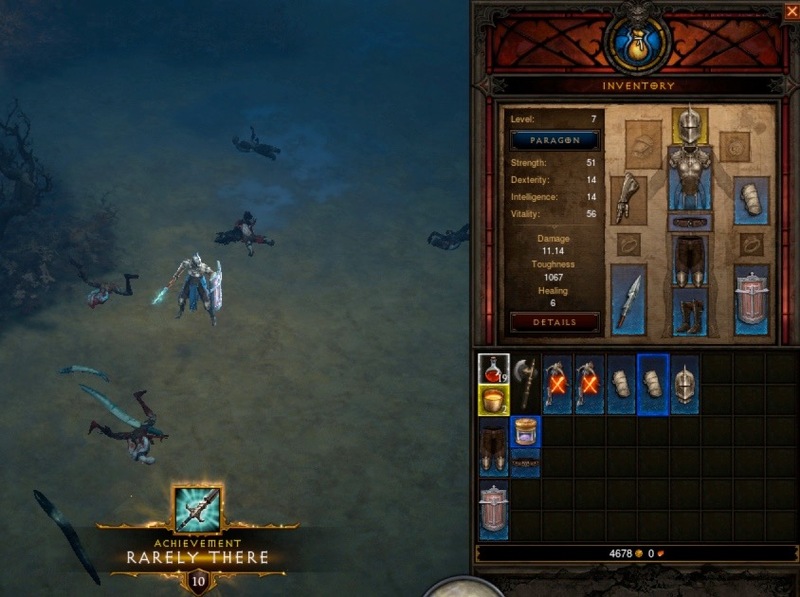 In my next Diablo III: RoS beta blog, I will explain what happened, and what I needed to do in order to fix the problem. Next Flight Rising: Theme Week – Deities!